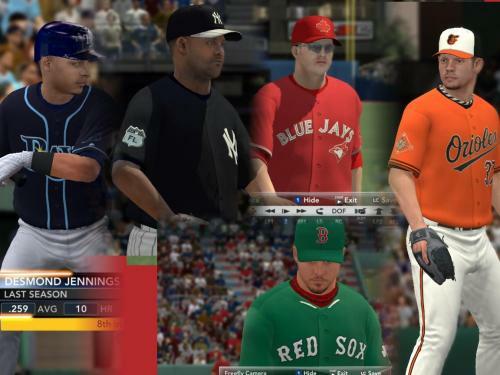 They are made to replace main, and alternate uniforms of AL-East Division Teams. There is also a couple of extra uniforms. - Special 2015 Version St. Patrick's Day Uniform * This an advanced one. Custom vertical fabric effect. - Regular Home Pinstripes Uniform * Pinstripes reworked. Thicker and less lines. To install them, just extract all the files in MLB 2K12 game folder. I've also included the file "AL-East-ColorFix.txt" in order to fix the uniforms accesory colors using the Roster Editor tool. ... Well, I've already seen a couple of buttons that should not be there. I'm fixing this error soon. v 1.1 Sorry. 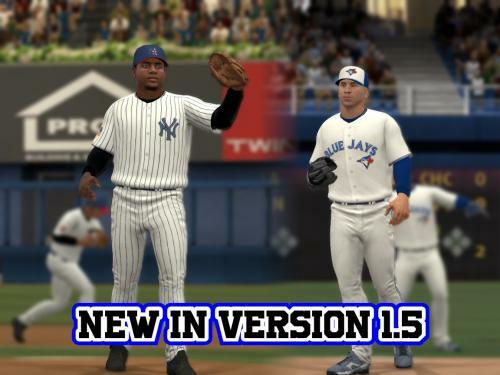 I forgot to upload 3 Yankees uniforms in V1.0. This is solved now. v 1.5: A LOT OF CHANGES IN THIS VERSION. 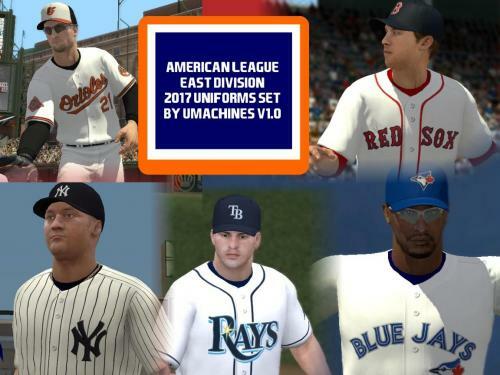 Since AL-East is my first set, there are several features and improvements in the rest of them. I Even feel some teams were underdone. I tried to correct all this, and that's the reason for the version jump. - Added new Majestic logo version, like in NL-East set. - A bug free version of MLB Roster Editor tool is in the rar file. Many changes, since this was one of my first sets and there were many things I didn't know how to do very well then. - Canada Day red uniform now comes with red batting helmet and maple leaf logo. - Added an extra uniform in slot 478. 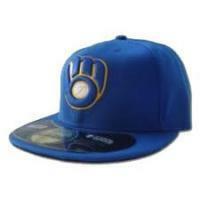 Home uniform with blue cap and batting helmet. - Both blue jersey uniforms now with blue cap and batting helmet. - Front pipeline updated to newer Detroit version. 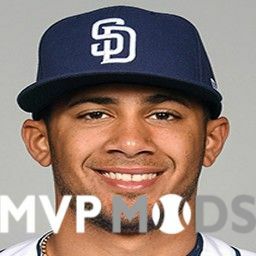 - Removed devil ray patch from colored jerseys. - Striped stirrups for all uniforms. - Better shape, size and location of 25th park anniversry patch. - Fixed some color problems in St. Patricks day special uniform. - Pinstripes thickness and separation updated, like in Mets and Phillies sets. - Added an extra uniform in slot 476. July the 4th weekend home version. PLEASE REMEMBER TO IMPORT THE COLOR FIX FILE AGAIN, IN ORDER TO HAVE ALL THE CHANGES. This is very important for the Blue Jays and Yankees new uniforms. Looks amazing thanks so much!!!! Looks great! I don't have the 2K games, but these unis are gorgeous! Saludos Umachines. 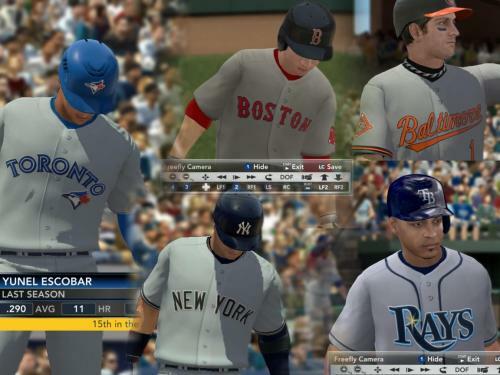 Te felicito los uniformes se ven muy bien ¿Se podrán utilizar en MLB2K11?